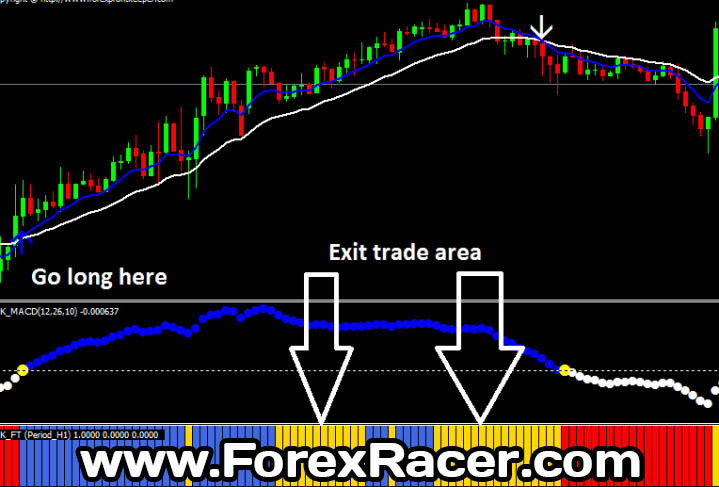 Forex Profit Keeper is a forex trading system that is convenient for scalping and intraday trading. There is no extraordinary preference when it comes to choosing currency pairs with this strategy. You can use Forex Profit Keeper for trading on the major currency pairs. The system is quite simple and was developed with only 4 indicators. First indicator is FPK_Arrows. It is based on exponential moving averages. Also on chart you can see two lines added. We have applied them to look more clearlier visually. Arrows will not repaint, you will be able to set sound/visual/email alert. Second indicator is FPK_MACD. It will also come with sound/visual/email alert. The third and most important indicator is FPK_FT. It is also based on MACD but will let you follow market condition (strenght). Also this indicator will let you book as many pips as you can without trade turning against you. One thing you will have edit here is timeframe setting on different timeframes. Picture is in the downloadable archives. For example 1h timeframe will be 60minutes, for 4h timeframe 240 minutes. To do this you can hit ctrl+i on platform select FPK_FT and edit minutes. Talking about system it is for Metatrader 4 platform. Almost all brokerage companies works with this platform. 1. FPK_Arrow pops white and points down. 2. FPK_MACD goes below 0 line and draw first white dot after yellow one. 3. FPK_FT draws red bar. 1. FPK_Arrow pops blue and points up. 2. FPK_MACD goes above 0 line and draw first blue dot after yellow one. 3. FPK_FT draws blue bar. *Enter trade if all indicators confirm signal!